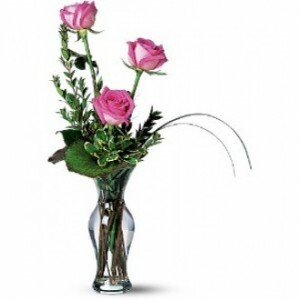 The pastel colors in this enchanting bouquet are soft, but your message of “I’m thinking about you today,” will come in loud and clear. 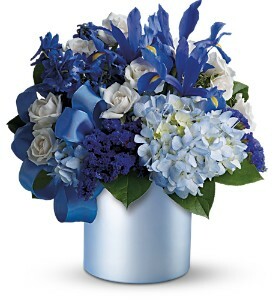 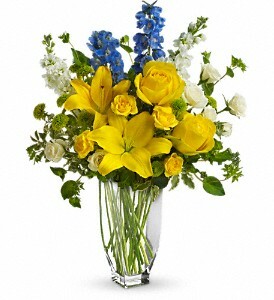 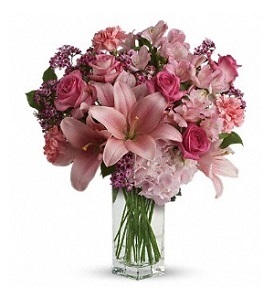 Categories: Pink, Lilies, Mixed Bouquets, Roses, Anniversary, Love and Romance, Thank You. 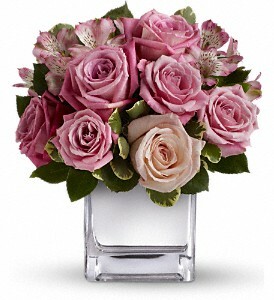 This tastefully terrific bouquet features soft pink and lavender roses in a sleek contemporary silver cube vase. 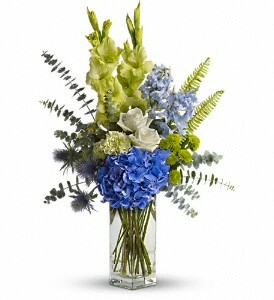 Understated and spectacular at the same time, it is a gorgeous gift that she’ll long remember. 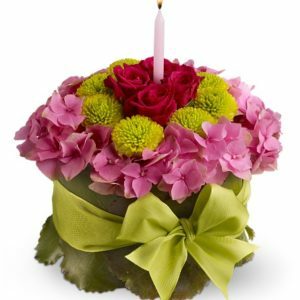 Looking for a way to celebrate their birthday in high style? 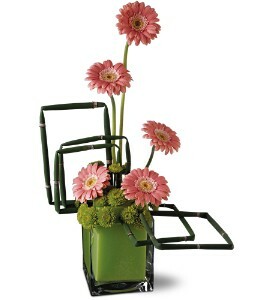 Send this uniquely designed arrangement of pink gerberas and green chrysanthemums, creatively displayed in a square glass vase, accented by a geometric bouquet of reed “squares. 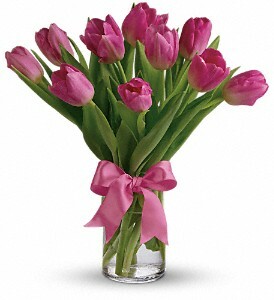 Beautiful and “simply said” light pink tulips are a hip way to show you care.